HCM CITY – A visiting delegation of 30 executives from Indian leather companies have met with their Vietnamese counterparts in HCM City. 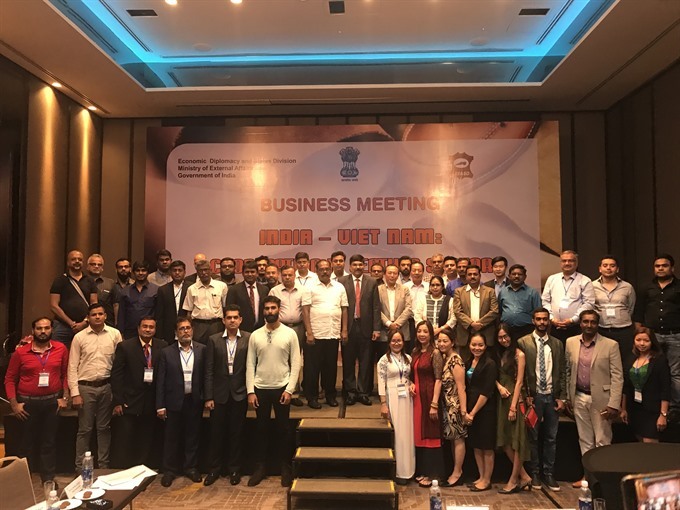 The meeting on Thursday between two of the world’s top three footwear producers was organised by the Indian consulate in HCM City and the Việt Nam Leather Footwear and Handbag Association (LEFASO) in HCM City. The visitors, led by India’s Council for Leather Export, became acquainted with their Vietnamese counterparts and showcased their products as they sought potential partners. Diệp Thành Kiệt, deputy chairman of LEFASO, said Việt Nam’s exports of footwear and handbags were worth US$17.96 billion last year, and this year’s target is $19.5 billion. The country is the second largest exporter of footwear, he said. Việt Nam imported around $92 million worth of leather from India last year, or 5 per cent of its total leather imports. It plans to import $115 million worth this year. Leather is one of India’s major industries. It is the fifth largest exporter of leather, accounting for almost 13 per cent of the world’s output. According to India’s Ministry of Commerce and Industry, the country imported around $121.63 million worth of footwear and other leather goods from Việt Nam from April 2017 to March 2018.